Fr. 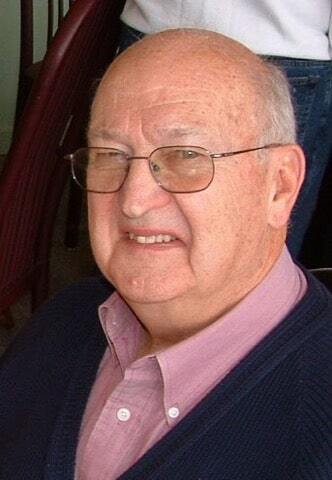 Kenneth R. Keene, long-time pastor of Holy Trinity Church, Robinson Township went to be with his Lord on Tuesday, January 1, 2019, Age 60, of Robinson Township. Diocesan born on September 25, 1958 in McKees Rocks, PA. Ordained on June 24, 1995 by Bishop Donald Wuerl at St. Paul Cathedral, Pittsburgh, PA, incarnated into the Diocese of Pittsburgh on June 24, 1995. 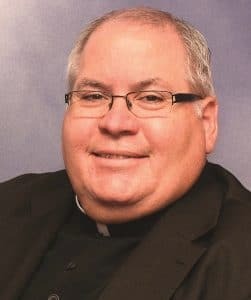 Former Parochial Vicar of St. Philip Parish, Crafton and Good Samaritan Parish, Ambridge; Parochial Vicar, Administrator and Pastor of St. Vincent de Paul Parish, New Castle; Senior Parochial Vicar of St. John Newman Parish/Sacred Heart Parish/Assumption of the BVM, Pittsburgh. Father Ken served as Chaplain of the Knights of Columbus, was the spiritual director of the Padre Pio Prayer Group, Member (elected) of the Priest Council and Confessor to the Little Sisters of the Poor. Son of Alvera and the late James Keene; Brother of Gary (Frances), Michael (Barbara) and David (JoAnn) Keene; Uncle of Jason, Lisa (Bob), Robyn (Josue), Mickey (Colleen), Christina, Marlena, Mallori (Mike), Rachel (Robb), David, Cassandra and the late Melissa; Nephew of Sr. Maura and Sr. Marlene Luffy, Clara Keene and Marlene Luffy; Also survived by serveral cousins and many great-nieces and great-nephews. 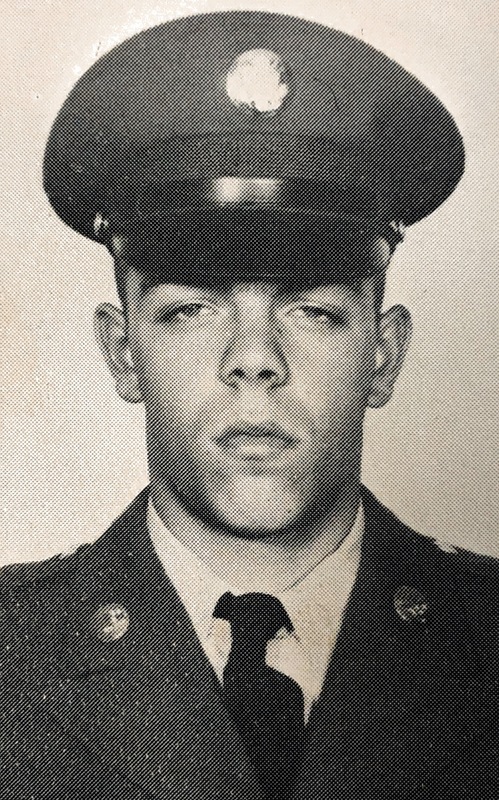 Family and friends received Saturday, January 5 from 4-8pm and Sunday, January 6 from 1-4 and 6-8pm at Pittsburgh Cremation and Funeral Care 5405 Steubenville Pike Robinson Township, PA 15136. Translation to Holy Trinity Church 5718 Steubenville Pike Robinson Township, on Monday, January 7 with visitation from 9-11am followed by a Mass of Christian Burial at 11am. Interment to follow in Resurrection Cemetery. In lieu of flowers, donations can be made to Holy Trinity Church or to the Father Ken Keene Memorial Scholarship Fund for Holy Trinity School 5720 Steubenville Pike McKees Rocks, PA 15136. Bruce and I are so heartbroken at the loss of Fr. Ken. He was a great and good man. We loved him. Glad I got to know him well. He will be missed. We will keep you and your family in our prayers and praying for Fr. Ken. Ida and Bruce Thompson. Patty Zerishnek's Mom. Jessica Charlotte and I send our condolences to the Keene family and all his congregants. We will pray for Father and his loved ones. Mrs Keene and family so sorry for your loss of father Kenny, he was a good man. We will keep you and your family in our prayers Angela and Frank Scalamogna. Dearest Keene family, we are sorry for your loss but be comforted by God’s Love and Mercy in this time of tremendous grief. Father Ken is a GREAT man and true friend. You will be sorely missed my brother in Christ, but know that we will meet again! To the Keene family. So sorry for your loss, Father Ken was a good man He Will be missed by all of his parishioners at holy Trinity church. He is now with his God in heaven may he rest in peace. ALVIE AND KEENE FAMILY---SO SORRY FOR THE UNTIMELY DEATH OF YOUR SON FR KEN AND THE LOSS TO THE WHOLE FAMILY AND MANY PARISHENIERS. I BELONGED TO HOLY TRINITY MANY YEARS AGO AND MY CHILDREN ATTENDED SCHOOL THERE. BEAUTIFUL MEMORIES. LOVE AND PRAYERS TO ALL SYLVIA KRONZ--4091 BEDFORD AVE. , WINTER HAVEN, FL. Mrs. Keene, I am so sorry to hear of Fr. Ken's passing. He was a good person and will be missed. My thoughts and prayers are with you and your family. Dear Alvie, I am so sorry for your loss. I always enjoyed when Father Ken came on First Fridays. He always had a smile on his face and put a smile on my face. There will be a big void in our lives. My thoughts and prayers are with you and your family. Our heart felt Condolences to the Keene family: Father Ken will be missed by both my dad and me...especially the first friday home visits since my dad can't get to church any more. We enjoyed him bring the Eucharist any the annointing of the sick sacraments....Eternal rest my friend.....it has been a pleasure serving with you. Deepest sympathy to family, friends, and fellow parishioners of Holy Trinity Parish on Fr. Ken’s passing from my mother, Angeline Henry, currently 106 years of age, and myself. Father Ken gave the blessing at mom’s 100th birthday and visited with her several times over the years. She called him her “New Castle connection” due to his work there at St. Vincent’s and the place she called home after immigrating from Italy when she wa 8 years old. His kindness to her will never be forgotten as will his smile and his faithfulness. God bless you all. Dear Mrs. Keene and family, As members of a St. John Neuman Parish, we were privileged to serve as Eucharistic ministers with Fr. Ken. His love of The Lord and his warmth were evident to us the first time we met him. We are so sorry for your loss and we pray for peace and comfort for you and your family during this difficult time.